Save More! Celebrate More! 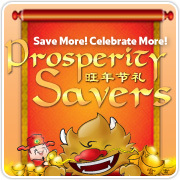 Prosperity Savers! Download TESCO's Special Chinese New Year Catalogue now!